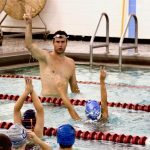 Within 250 miles of Folsom, PA.
Get ahead of the competition at this high performance swim clinic focusing on techniques to help you breakout ahead of the competition! The best swimmers in the world are inquisitive and they constantly focus on improving their form. Find the right technique for YOU to maximize your performance with Bahamian Olympian Arianna Vanderpool-Wallace!!! Maximize your speed, power, and momentum in your underwater dolphin kicking by learning how to get more out of every kick. Carry your speed forward into your first stroke by exploding into a fast and efficient breakout and then get your hand on the wall FIRST. Arianna is one of our best teachers and one of the fastest swimmers in the world! She will help you DROP TIME! FINISHES: The technique of the finish takes precision in timing and in your movements. Learn to swimm through the wall, eliminate drag, and reach with your fingertips. Arianna is a sprint specialist and she knows the importance of finishing strong. 50 freestyle specialist Arianna Vanderpool-Wallace is one of the fastest women on the planet. She is known for her efficiency and power in her freestyle stroke. Becoming a fast sprint freestyler takes a lot of techique. 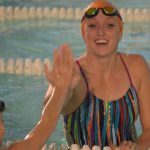 At this swim clinic, learn how to maximize your SPEED and breakout into a new, faster understanding of racing. SPRINT FREESTYLE: The freestyle stroke has small differences depending on the distance that you're swimming. The technique for a fast sprint freestyle takes a powerful kick, a fast arm tempo, and a rigid bodyline. The best swimmers know how to hydroplane across the surface. Let Arianna teach you how to become a better sprinter and have an explosive stroke! BREAKOUTS: You have to be able to take the speed off of the start and through each wall and carry it into your swimming. Learn how to explode into your breakout with a streamlined and powerful first stroke. Reduce your drag, increase your power, and improve your breakouts with us! ASK QUESTIONS: Swimmers and parents are invited to ask Arianna questions during a Q&A session. Gain insight into her training regimen, diet and nutrition, and recovery tactics. WATCH THE CLINICIAN: Observe Arianna Vanderpool-Wallace swim at full speed and demonstrate a progression of perfectly executed drills to achieve powerful, efficient and fast swimming. Take a photo while wearing Arianna's medals, get autographs, and a gift from TYR Sport!